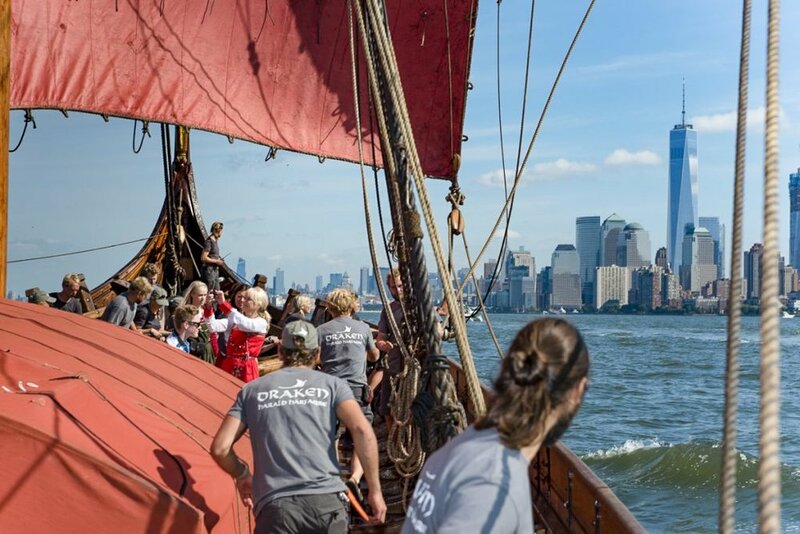 The 17th of September the world’s largest Viking ship sailed into #NYC! The voyage has been incredible, a modern Viking saga about exploring the world, just like the Vikings did a thousand years ago. It started in 2008 in Haugesund with a dream, an idea, about creating a seaworthy Viking ship the size of the ships that are described in the Norse sagas and to sail her to America. I has been a long and challenging journey, but she and her crew made it! Come visit her and the crew in the North Cove Marina at Brookfield Place this week. Tickets to deck tours is available in the exhibition area in the Winter Garden at Brookfield Place. The tickets can be purchased in advance and are set to a certain day and time slot.